Does anyone have even one lone Facebook friend — perhaps a super sheltered tween cousin, or a 90-year-old grandparent — who still wholeheartedly believes in Invisible Children's Kony 2012 campaign? 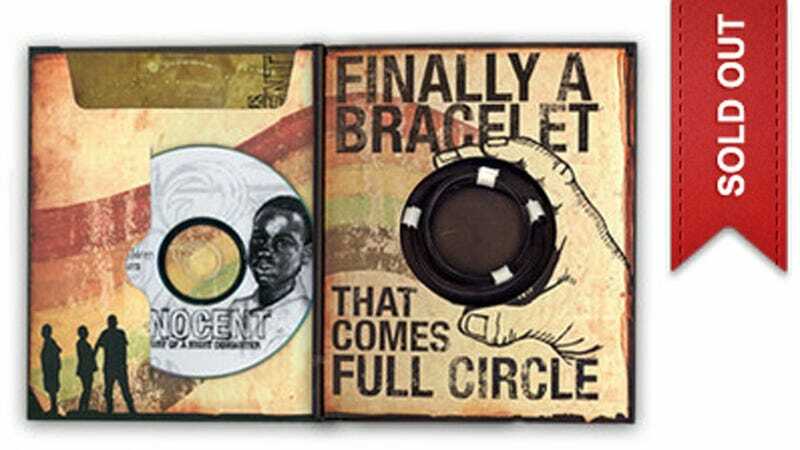 The nonprofit's first video, which demanded the capture of dictator Joseph Kony and has been viewed upwards of 86 million times, urged people to purchase action kits which they could use to "plaster" towns with propaganda for an upcoming and rather vague international "Cover the Night" event scheduled for April 20th. Over half a million kits sold out in the days after the first video went live, but that was before the campaign attracted widespread criticism for oversimplifying the cause, falsifying data, and misusing funds, and way before co-founder Jason Russell had a nervous breakdown and ran around his neighborhood buck naked, screaming about the devil. He is still in the hospital, being treated for psychosis and "dehydration." Will the world ever forget the traumatizing video of Russell pounding the San Diego pavement, or Invisible Children's links to antigay creationist organizations, or the angry protests that broke out in Uganda after Kony 2012 public screenings? Still: 86 million views is a formidable figure, and the campaign did turn Joseph Kony into a household name — can it still achieve its stated goal of bring the dictator to justice? Well, the founders certainly think so, which is why Invisible Children is releasing a sequel video tomorrow that they say will "give more details and context than the first." Jedidiah Jenkins, Invisible Children's director of ideology (who, you may recall, requested and then declined a Jezebel interview) told Reuters that the new video is geared toward an international audience "with more details on Kony's Lord's Resistance Army (LRA) and more voices from the Central African Republic and the Democratic Republic of the Congo, where the LRA was currently based." The video will also include an update about what exactly "Cover the Night" will entail. According to the Guardian, Invisible Children's supporters "are expected to volunteer for five hours in their communities on 20 April to counter criticism the group has received over what Jenkins dubbed 'slacktivism' or 'clicktivism'." Hmm. I mean, that's great in theory, but will this "volunteering" be organized? Will it lead to a citizen's arrest of Kony, who may be crouching in some suburban backyard right at this very moment? It's unlikely, but a general sense of goodwill might be the best — and only — PR strategy Invisible Children can resort to at this point.